This past fall, on October 28, 2018, Rimini welcomed the re-opening of the Teatro Galli 75 years after the building was destroyed by bombings during World War Two. Filled with special events and international stars, the end of 2018 features the likes of La Sagra Musicale Malatestiana (the Malatesta Music Festival), Cecilia Bartoli and an exhibition showcasing the artistic excellence of the region to mark the return of Rimini’s home of great music. 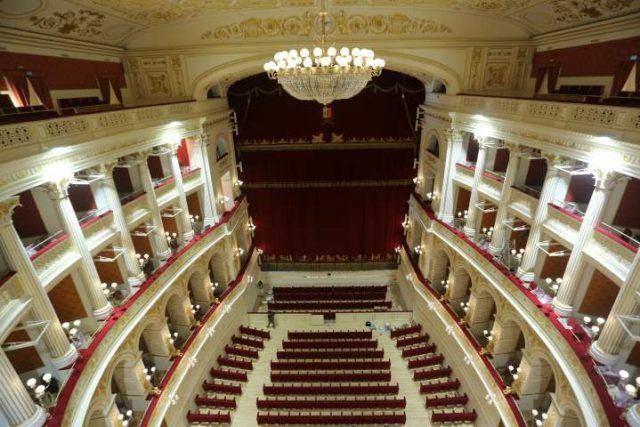 Teatro Amintore Galli is the Municipal Theatre of Rimini and was first constructed in 1843, before opening in 1857 with the opera “Aroldo” by Giuseppe Verdi. Luigi Poletti designed the original Municipal Theatre of Rimini as a temple of music, housing more than a thousand seats for the audience to enjoy special performances. He was inspired by the solemnity and magnificence of the Roman temples and created an innovative construction: a monumental building with classic Greek-Roman architecture, which stood out from other European theatres during that period. The last performance at the theatre took place in 1943, before it was destroyed during World War Two. As a result of this damage, the apse and the roof collapsed and about 90 percent of the auditorium and stage were destroyed, with the foyer being the only part remaining undamaged. During the restoration process, archaeologists discovered mosaics, floors and the remains of an early Christian church. The site was transformed in to an exhibit with a multi-media film that tells story of Rimini in the 1800’s, when the theatre was constructed. The museum is accessible to people with motor and sensory disabilities. Guided tours (2 euros per person; free for children under seven years of age) are available every Tuesday, Thursday, Saturday and Sunday at 10:30am, 12:00pm, 3:30pm and 5:00pm. After five years of restoration and refurbishment, the Fulgor Cinema is ready to raise its curtain once again. The historic cinema on Corso d’Augusto played a leading role in Federico Fellini’s life and work. It was at this theatre where he watched his first films, including 1925’s Maciste in Hell, and created promotional playbills in exchange for free screenings for him and his friends. 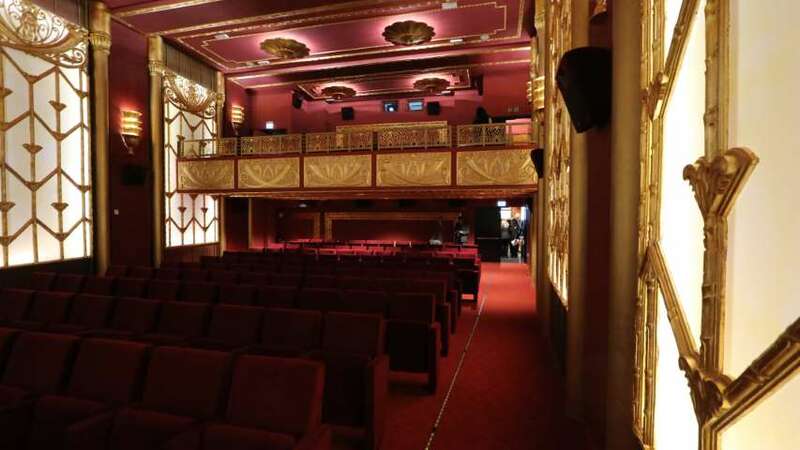 With the renovation conducted by Rome’s Studio Forme, work on the Fulgor Cinema was based on the original plans of Italian designer Dante Ferretti. The team conducted research into the styles, atmospheres and trends popular in 1930’s and 1940’s, to revive the atmosphere that once inspired Fellini. Despite some architectural challenges, the ground floor, foyer and two screening rooms (‘Giulietta’ and ‘Federico’) were completely returned to their previous glory inspired by 1930’s Hollywood. The final result is consistent with Ferretti’s original concept and restores the rich, enchanting and evocative feelings typical of those timeless stories to this historical landmark of Italian urban culture. Over his entire film career, Rimini was a unique source of inspiration for Fellini. In fact, Rimini is featured in Fellini’s caricatures of famous actors commissioned as advertisements by Fulgor’s then cinema manager. Rimini is also the backdrop in Amarcord, Vitelloni, La Voce della Luna and 8 1⁄2 to name a few.